Can a mouse virus cause breast cancer in women? Answering that question has become Dr. Kathleen Ruddy's life’s work. 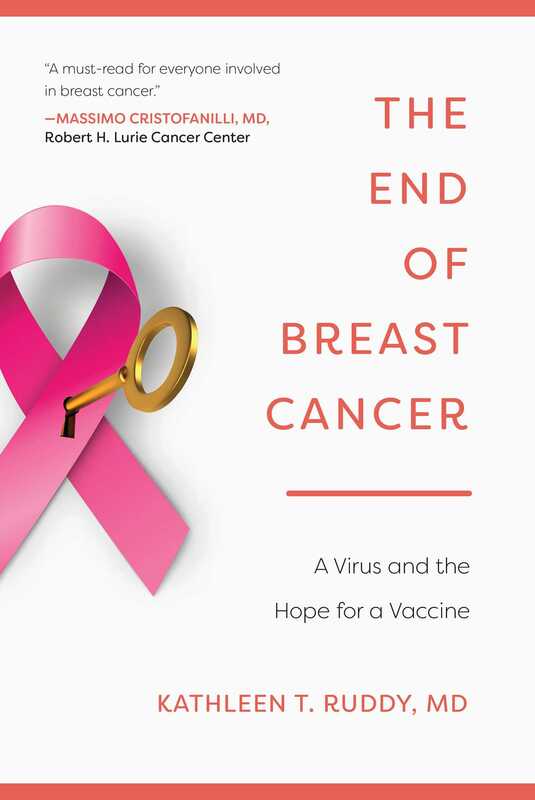 The End of Breast Cancer is the landmark book that gives an extraordinary glimpse into the history of breast cancer research, and the findings that support the theory that the virus that causes breast cancer in mice, and has also been found in rats, cats, dogs, and monkeys plays a significant role in 40-94% of human breast cancer. Researchers contend that we are one step away from having final proof of this. Once we know the cause, then we can move forward to develop a preventative vaccine. The first and only breast cancer specialist to compile this encyclopedic research in one volume, Dr. Ruddy writes: “If there’s a virus that causes breast cancer, and a safe and effective vaccine that can prevent this disease, we need to know about it now, not in another 100 years.” The End of Cancer represents the culmination of Ruddy’s research findings and the breakthroughs that are happening every day to unravel the mystery. We may well witness in our lifetimes the eradication of breast cancer. "This is an energetically written landmark book about the virus that causes breast cancer in mice and may very well do the same in women. Ruddy has given us an extraordinary glimpse into the history of this research that will, no doubt, change the world. We should be grateful to her for it is a noble achievement whose time has come. "—Christine Chroner, MD, author of Waking the Warrior Goddess. "We see a need for a consistent protocol for the evaluation of IBC [inflammatory breast cancer] clusters focusing on the laboratory investigation of environmental triggers, primarily infectious agents and chemical carcinogens." —Dr. Paul Levine, The George Washington University School of Public Health and Health Services, Washington, DC.